Alberto Santos-Dumont (1873-1932) Brazilian aeronaut, dirigibles and aeroplanes. 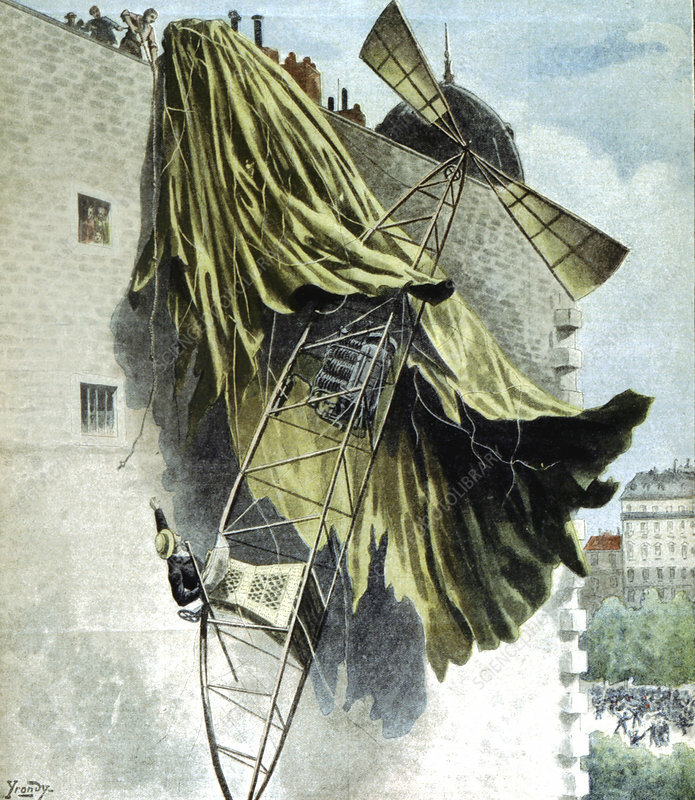 Santos-Dumont coming to grief in his airship on roof of house in Quai de Passy, Paris, on an unsuccessful attempt at the Deutsch Prize. From Le Petit Journal.